Devotee: Swamiji, can you tell me about what you said, going through the spiritual master, not directly to Kṛṣṇa, through the spiritual master. Devotee: Can you just tell me something about it? Prabhupāda: Spiritual master is the representative of God, or Kṛṣṇa. Just like if you work in some office, so there is one head man, representative of the proprietor of the company. You have to work under him. If you satisfy that person who is in charge of that department, that means you are satisfying the proprietor of the company. Is it clear? And he can give you direction how to work nicely because he's experienced. The boss. So spiritual master is external manifestation of God. God is within and without. Within, He is Supersoul. He will give you... If you are sincere, He will give you good counsel, "You do like this." You'll get dictation from within. That requires advancement of spiritual life. Then you get from within dictation. So God is helping from within and without. Within, as Paramātmā, and without as spiritual master. Both ways. As soon as you are sincere, then God will send you to somebody who is His bona fide spiritual representative. And if you take help from him, and help within and without... Just like a person going, or a boy going to a school, he's getting training in the school as well as home, both sides. Then his chance is very good. So we have to take both wise: from inside, from outside. You are doing some things in the service of the Lord. How you'll know that you are doing it properly or improperly? This you will know from the spiritual master. If he says, "It is all right," then it is all right. If he says, "It is not good," then it is not good. Just like the same way. The officer in charge, if he is satisfied (with) your work, that means you have satisfied the government or the supreme company, arranger, with whom you have no direct connection. Yasya prasādād bhagavat-prasādo... Therefore it is said that if you satisfy your spiritual master, that means you have satisfied Kṛṣṇa. And yasya prasādād na gatiḥ kuto 'pi. And if you have not satisfied your spiritual master, then you must know that you are, what is called, there is no certainty about your whereabouts, what you are doing. Na gatiḥ kuto 'pi. Therefore, dhyāyan stuvaṁs tasya yaśas tri-sandhyaṁ vande guroḥ śrī-caraṇāravindam. So spiritual master is necessary and his direction is necessary. That is the system of disciple succession. In the Bhagavad-gītā also, Arjuna is surrendering. He was Kṛṣṇa's friend. Why he surrendered himself, "I am your disciple." You see in the Bhagavad-gītā. He had no necessity. He was personal friend, talking, sitting, eating together. Still, he accepted Kṛṣṇa as spiritual master. So that is the way. There is a system to understand. It is specifically mentioned, śiṣyas te 'ham. "I am your disciple now." Śiṣyas te 'haṁ śādhi māṁ prapannam (BG 2.7). "You kindly instruct me." And then He began teaching Bhagavad-gītā. Unless one becomes a śiṣya, or disciple, it is prohibited, not to instruct. Not to inst... That instruction is useless. That is the system. We are instructing in the class because there are few disciples who have taken vow to learn from me. Otherwise, I have no business to teach the public. The public may come. But actual interest is to teach my disciples. But that is secondary... for the public, secondary. But real business is to teach the disciples. Just like Śrīmad-Bhāgavatam was meant for Parīkṣit Mahārāja, Śukadeva Gosvāmī's disciple. But there were many others present. They also heard. Yes? Devotee (2): Well, how can we begin to serve you so that you'll be pleased? 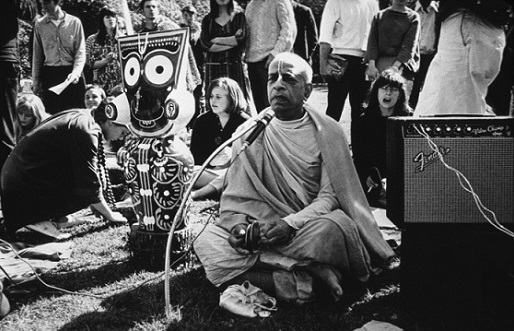 Prabhupāda: (laughs) That I shall tell you later on. (laughter) Do you think I am not pleased? Devotee (2): I don't know. 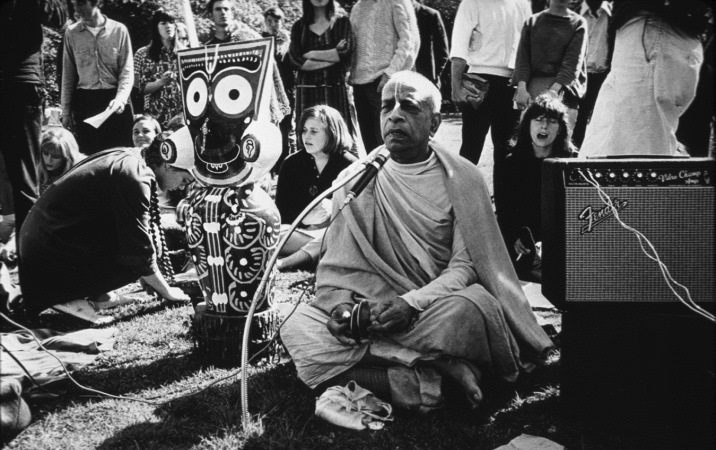 Prabhupāda: Oh, you must know it. How can you say that I am not pleased? How you know it that I am not pleased? Devotee (2): Well, we cause you so much anxiety and everything. Devotee (2): We cause you so much anxiety due to our faults.